Do you want to have as many skiing options as possible? We have just the place you’ve been looking for! Located in North Conway, one of New England’s most popular ski towns, the Green Granite Inn is surrounded by 9 great ski areas offering adventure and fun. Whether you are a first time skier or an avid enthusiast, you will find the perfect slopes for your ability within a short drive. Bring your whole family to nearby Cranmore Mountain to take advantage of their recent 6 million dollar renovation. One of America’s oldest ski resorts, Cranmore features ski lessons for children and adults, tubing, and even a day care for young children. Kids of any age do not want to miss Cranapalooza, which includes night skiing, fireworks, music, and entertainment. Black Mountain is ideal for the novice skier with gentle slopes while Wildcat Mountain has the most continuous vertical of any ski area in the White Mountains. The Green Granite is within 15 minutes of the #1 cross country ski area in the Eastern United States, the Jackson Ski Touring Foundation. 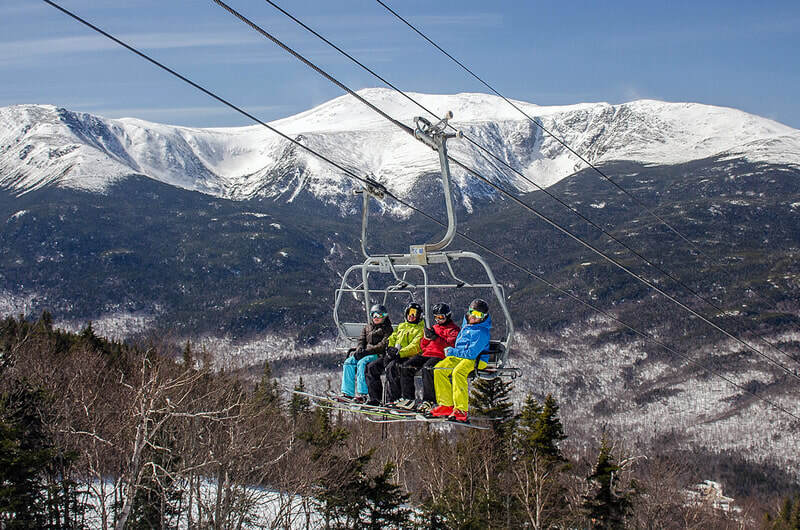 We’re also conveniently located near several other great skiing opportunities like Bretton Woods, Attitash Mountain, Great Glen, Loon Mountain and King Pine. Whatever your ski level, the North Conway area has the skiing opportunities you are looking for.